Mahmoud Abbas, President of the State of Palestine, addresses the general debate of the General Assembly’s seventy-third session. 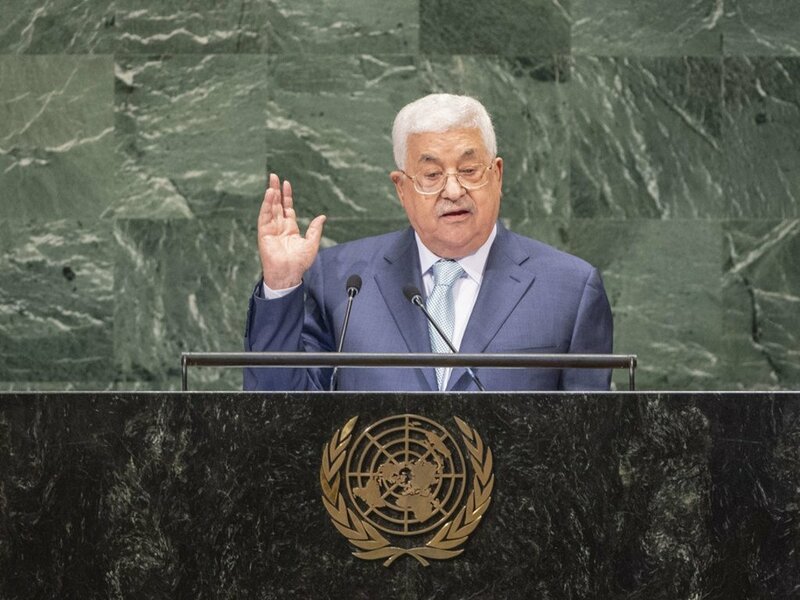 Taking the podium at the United Nations General Assembly, Palestinian President Mahmoud Abbas reiterated that peace in the Middle East cannot be realized without an independent Palestinian state, with East Jerusalem as its capital. Addressing world leaders at the Assembly’s annual general debate, President Abbas underscored his commitment to peace and the two-state solution, and the path of negotiations to achieve them. “We have always fully and positively engaged with the various initiatives of the international community aimed at achieving a peaceful solution between us and the Israelis, including the Arab Peace Initiative,” he said, noting that the he also engaged with United States President Donald Trump and his administration from the start of his tenure. However, the US administration’s decision to close office of the Palestine Liberation Organization (PLO) in Washington D.C., the proclamation of Jerusalem as the capital of Israel, and transferring of the US embassy from Tel Aviv to Jerusalem, not only violate UN resolutions, they have also undermined the two-state solution, added President Abbas. “The path to peace is enshrined in your [the UN] resolutions, including resolution 67/19 of 29 November 2012, which was adopted by an overwhelming majority and refers to the State of Palestine on the basis of the 1967 borders,” he stressed, urging all countries to abide by those resolutions. JADE Generations Club: Connecting perspectives, changing Europe. Can the next financial crisis be avoided? Did young people just kill television? Robot inventors are on the rise. But are they welcomed by the patent system? Does the Commission subsidise a forced labour scheme in Britain? Is poor generational intelligence holding you back at work?